With Polycom HDX solutions, connecting and collaborating visually across the organization is as easy as making a phone call. Overview: Polycom HDX telepresence solutions offer users extraordinary visual communication, enhancing collaboration from the desktop to the conference room. Flexible connectivity options and powerful content sharing gives professionals the ability to communicate over distance easily and securely. 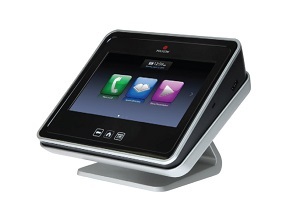 Polycom HDX room and personal telepresence solutions include offerings to suit any application and any budget. Integrated in each HDX experience, Polycom UltimateHD™ technology brings amazing, high-definition communication to every user, every time. UltimateHD technology includes not only HD video up to 1080p resolution, but also HD voice with crystal clear stereo audio. Sharing HD content is also part of the Polycom UltimateHD experience, allowing colleagues and partners to easily include rich content during a video call. 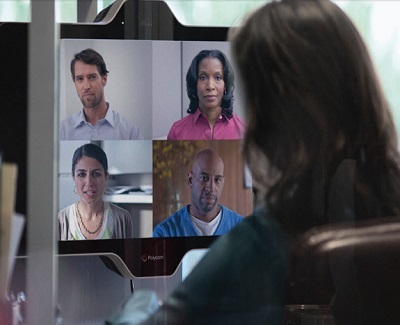 Also included in each HDX telepresence solution is Polycom Constant Clarity™ technology, which is a combination of several Polycom technologies that offer the best quality audio and video to users in a variety of environments and with varying network conditions. Users also experience better video quality and lower total cost of ownership with H.264 High Profile that provides higher resolutions and frame rates at up to 50% bandwidth reductions over competitive products. The Polycom EagleEye Director provides an innovative coupling of voice triangulation, face-finding technology, and a dual-camera tracking system. The Polycom Touch Control interface is a gesture-based, intuitive solution, accelerating unified communications (UC) and video collaboration throughout the organization.